It was once thought that intelligence meant intellect, and only intellect. Intellect wasn't merely the primary focus, it was the only focus, and methods of improving the intellect were eagerly sought. Dr. Samuel Renshaw and Alfred Korzybski are two of the pioneers who worked to find methods of training people to improve their mental facilities. Their work was controversial, and remains so to this day. He has since suggested adding both existential and moral intelligence to the list. This theory was widely but not universally accepted, and is still being debated today. Emotional Intelligence was discussed in a few academic papers, but the idea didn't really gain much traction until 1995, when Daniel Goleman published Emotional Intelligence – Why it can matter more than IQ (Source), which became a bestseller. There has been much debate in academia, but the idea was enthusiastically adopted by many in the business and psychological communities. 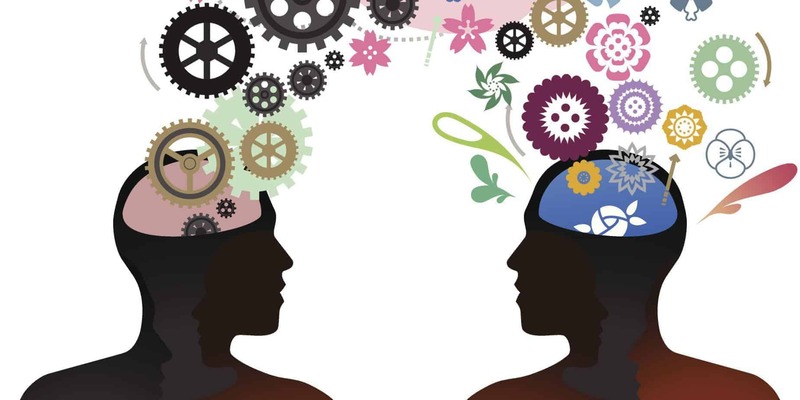 At present, there are three schools of thought on how to define emotional intelligence. The Trait Model, which focuses on your ability to recognize emotions in yourself accurately and express them clearly to others. The Ability Model, which spotlights your ability to perceive emotions in yourself and others, harness them to advance toward your goals, understand the nuances of emotions, and manage them. This is the ability to steer yourself and others toward the emotional state that you desire. 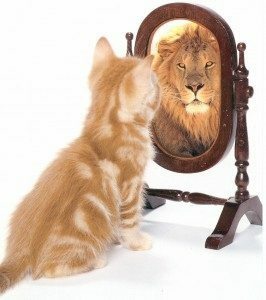 Self-awareness, the ability to recognize your own emotions. Self-regulation, the ability to shift your emotional state towards the condition you want to experience. Social Skill, managing relationships with the people around you effectively. Empathy, understanding other peoples' emotions and considering the effect your decisions may have on them. Motivation, your focus on success; not achieving goals, but being effective for the experience of competence. Goleman refers to the specific skills as emotional competencies, and points out that they're not just innate traits, but skills that can be learned and improved upon. I agree with him in this, while accepting the usefulness of the other models. 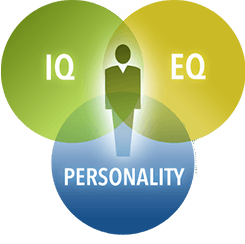 Emotional intelligence is distinct from logical reasoning ability or linguistic skill, which are what an IQ test evaluates. It's easy for us to see that some people, especially someone with Asperger's Syndrome, can be remarkably good at solving logic problems, and yet have to put extraordinary effort into understanding social customs, interpreting social cues, or managing their own emotional responses. The two skill sets are not related, and aren't always, or even frequently, correlated. Personality is generally considered to be the collection of preferences, habits of behavior, character, and temperament that combine to make us what we are. This is all of the factors that make us individuals. These traits are a combination of innate tendencies that are a result of brain chemistry, trained habits acquired from early training and our social environment, and traits we have learned intentionally since childhood. This is not the same thing as emotional intelligence. Your emotional intelligence is a central factor in your personality, but it is not the whole of your personality. At first glance, it may seem that it should be easy to understand our feelings; after all, aren't we experiencing them? But this isn't always the case. 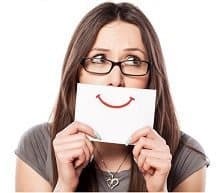 As Rekha Shrivastava explains, many of us were taught as children that some emotions aren't socially acceptable, and we were punished or shamed about having those emotions in the first place. This feedback came from many sources: parents and caretakers, teachers and other authority figures, and from our peer group, as they demanded conformity to social expectations to preserve the group identity. As a result, many of us learned to ignore our emotions, and even deny having them. This is not an easy habit for us to break, but we need to learn to accept all of our emotions and deal with them effectively as they occur. Essential to this process is acceptance, giving ourselves permission to experience our emotions, even the emotions that we were trained to deny having. To put it bluntly, our society was often deeply wrong about emotions, and we need to learn that any emotion that we feel is acceptable. They may be based on irrational expectations, a misunderstanding of events, or hormonal chemistry beyond our control, but that's okay, anyway. We can adjust our expectations or learn to understand a situation more clearly to correct mistakes we have made, but nothing is gained by ignoring or denying our emotions. For an emotion to be dealt with effectively, we need to identify it, acknowledge it, allow ourselves to experience it, and express it in some fashion. Then we can let it go and move on, with us in control of our emotions, rather than our emotions being in control of us. It is an idea that surprises some of us, but everyone controls their own emotions. How we choose to interpret events decides our emotional reaction to those events. As an example, let's say that you've worked hard to become very good at making spaghetti sauce, and are proud of this skill. You serve your best effort so far to a group of friends, expecting praise, or at least recognition of this excellent sauce. But one of your friends makes a suggestion, rather than offering unqualified praise. "If you had added just a dash of cayenne and a cup of Chianti, this sauce would be phenomenal." You have a choice in how you react, depending entirely upon how you choose to view this suggestion. My sauce isn't good enough for them. This will understandably lead to feelings of being rejected or attacked. They're trying to help me be even better. 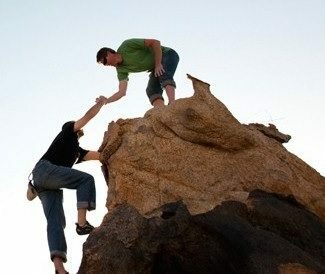 This will likely lead to feeling that the friend is on your side, encouraging and helping you. These would be two very different experiences, based upon the same event. The one that you experience depends entirely on your interpretation. We choose these interpretations every time. Many people choose based upon unthinking habit, others consider the options and make a conscious choice. The ability to intentionally decide how to view events, to steer ourselves toward the most effective emotional reaction, is a valuable skill in improving our EI. The skill of deciding how to view an event before you react emotionally to it is called framing. If you experience a negative emotion, going back to choose a different interpretation of an event in order to experience an emotion that will lead to a more positive outcome is called re-framing. This isn't just a tool that we can use to improve our own lives; we can help others do this as well. We can offer an interpretation that, if they accept it, will lead to a more favorable outcome for them and the whole group. Skill at doing so will enable you to help optimize the outcome for your group, whether that group is a team at work, part of your social circle, your primary emotional relationship, or the Little League team that you're coaching. It is a skill that can have a positive impact on almost every aspect of your life. In one Harvard study of EI as a factor of negotiation skill, they produced more evidence of the value of EI as part of a negotiator's skill set. Surprisingly, they also noted that it did not always correlate with a mutually favorable result in those negotiations. They think it possible that the high level of empathy that is a part of EI may have led negotiators to concede more advantages during negotiations than they needed to. It appears that as we improve our emotional intelligence, it would serve us well to be mindful of this possibility, and avoid letting others take advantages that are neither just nor essential. We have explored the history of our understanding of the various types of intelligence, and examined the current understanding of emotional intelligence. The study of emotional intelligence is relatively new, and there is much that we have yet to learn about EI. What we have discovered so far is being very useful in improving peoples' lives in many areas, making us more effective in business and in our personal relationships. We have looked at one of the central skills of EI, and explored a technique that we can use to improve our own emotional intelligence. We have noted that this skill can be used to help others improve their outcomes, whether they learn to do it for themselves or not.